If you need a LM-W1400A Panasonic WORM 1.4GB Optical Disk Cartridge Conversion and File Transfer service, then contact our friendly company. 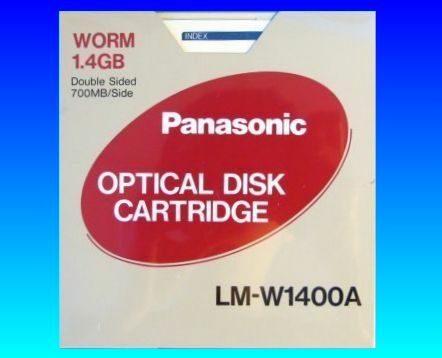 LM-W1400A 1.4GB Panasonic WORM Optical Disk Cartridge. Conversion and File Transfer from these disks which were used in Electronic Filing Cabinets, Optical Disk Jukebox Library auto-changers.